What's Skow-ing on in 4th Grade?? : Newsletter for You! 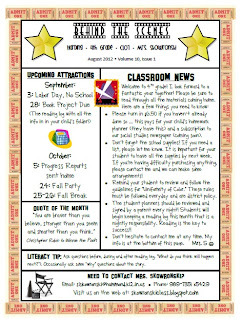 The first monthly newsletter of the school went home on Friday. Hopefully, you found it in your child's folder sometime this weekend! 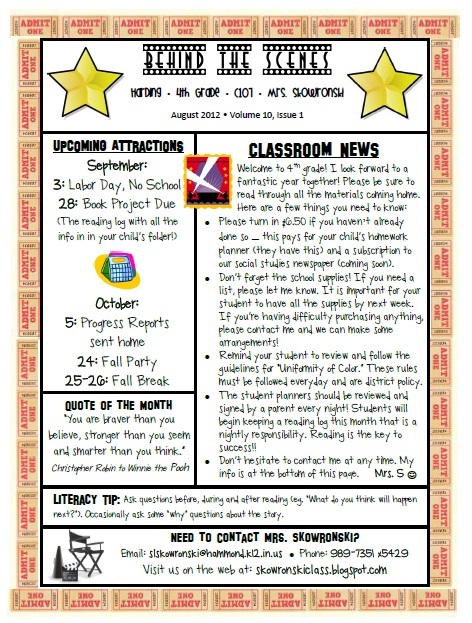 This newsletter is just another way that I let you know what is going on in our classroom. It will usually come home the first school day of each month.